Government of Sierra Leone Spokesman – Bayraytay, is visiting the United States of America and Canada, where he is meeting Sierra Leoneans across the political divide to explain government policies. 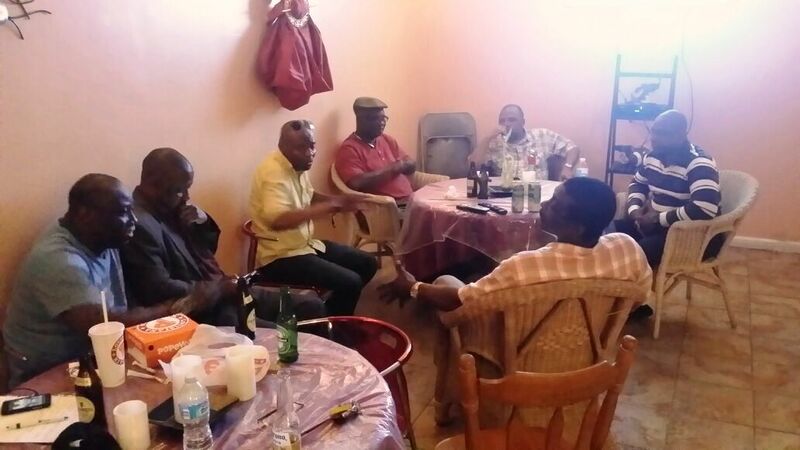 (Photo: APC New York Chapter Executives meeting Bayraytay). Mr. Bayraytay said that the town hall meetings are aimed at promoting accountability and transparency, but most importantly recognises that partnering with the Sierra Leonean Diaspora is vital to the country’s development. What is the essence of your visit to New York? Does it have anything to do with recent protest rally against President Ernest Koroma in New York? My visit to New York has absolutely nothing to do with recent protests against the president. We are encouraging the people, if they have any issues contrary to the president’s action as well as the government, to air their alternate views as long as those views are within the confines of the law. This will continue to enrich our democracy and good governance, which is President Koroma’s hallmark as someone who believes in constitutional rule of law and order. This visit basically, is a strategy by President Koroma. Instead of waiting for the people to always come and ask questions, it is better to take the government policies to the people, recognising that the Diaspora is key to the development of our country as well. Therefore, this is a continuous process and we are moving forward with it. I have done many media engagements, including TBN in Arizona, VOA in Washington, as well as a couple of radio stations. All of this is to further showcase that as a government, we have nothing to hide and believe in accountability and transparency. And, the only way we can ensure this, is for the government to come out and outreach to our people who have the right to know what is going on back home. The Social Safety Net Program is a $50 million program established by the World Bank and the government of Sierra Leone, because we realize that many families have been affected as a result of Ebola. We did a pilot study using data provided by Statistics Sierra Leone, which identified certain districts including Moyamba, Tonkolili, Kono and the Western Area that can benefit from the project. We looked at the poverty levels in these areas, based on the survey, which we use as criteria for eligibility and to identify the people who are most vulnerable in the districts. These are the groups of people we are targeting. So we are using this pilot program as a research and opportunity to find out if this intervention could really improve the lives of the people in whatever modest way. Then we could expand it to other districts if effective. How much cash benefit does each beneficiary receive monthly? This is just a pilot. In the first phase, we are paying direct cash transfers of $15 per month to each family, which is about Le 75,000 to Le 80, 000. This amount is to complement whatever income they have, so that at the end of the day, based on the pilot research evidence, we would know if our intervention using direct cash transfer, can change the lives of people in whatever modest way. This can become a part of our poverty alleviation strategy as a country. Since most of the people that the government is targeting are without bank account, how does the direct cash transfer work? Well the government will make sure that the people are paid directly. The World Bank and Sierra Leone Government’s National Commission for Social Action (NACSA) will implement the project. 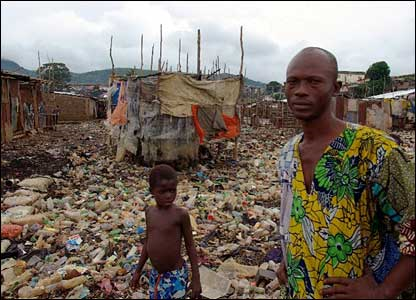 The funds are provided by the World Bank and the Government of Sierra Leone. What measures have the government put in place to prevent fraud and corruption similar to the missing Ebola funds? The Government continues to support all the state institutions that are fighting against corruption, particularly the Anti Corruption Commission (ACC). If you could recall prior to 2008, before the government could prosecute a case it had to obtain consent from the Attorney General and Minister of Justice. But government has empowered the Commission with the 2008 Anti Corruption Act to be independent, and does not have to channel its case to, or obtain consent from the Attorney General and Minister of Justice to prosecute. We received a lot of commendation for that. With the fight against corruption, the government continues to strengthen the ACC, the president’s policy of zero tolerance for corruption and to reduce our dependency on aid. So that’s why over the years, with the agenda for change and prosperity, we were able to embark on many road construction projects through our own resources and funds from government coffers, without depending on foreign donors. This only happened because we were able to put control mechanisms in place to control corruption. And of course, in 2012, one of the reasons we passed the Millennium Challenge Corporation qualifying from threshold to compact, was because we passed the corruption indicator requirement with a clean slate, which added value to our Good Governance Index. The president, parliamentary oversight committee on corruption, the ACC and the judiciary, all of these branches are very serious in the fight against corruption in this post Ebola recovery. One of the reasons for my trip is to sell the four points the government has identified, including health service delivery, education, infrastructural development and the economy – private sector recovery for service delivery. So why has the government not prosecuted any of the culprits who defrauded the Ebola funds? Well, the president had told the public that Ebola funds is blood money and that everybody involved will have to account. That is why we, together with the ACC, support the Audit Service Sierra Leone with their transactional audit of all Ebola funds. At the end of the day, the parliamentary provision as per the Audit Service of Sierra Leone Act, requires the audit report and all the people named in the report be submitted to parliament. It is now parliament’s responsibility to summon the people indicted in the report to account for everything they are indicted for in the audit service report. So we will continue to support the Audit Service Sierra Leone, and the ACC and parliament, so that we can make sure that everybody – just as President Koroma said, who stole money from the Ebola funds, should be ready to give account of how they spent the money. After New York where are you heading? From here, I am heading to Canada to do a similar engagement in community town hall meetings, radio discussions, etc. Canada Broadcasting Corporation is ready to host me; this is a continuous effort that I have been engaged in for the past two years.